Why do we as adults who are childhood trauma survivors go back to our family home for the holidays expecting something different? It’s like a person who keeps doing the same exact thing over and over again, expecting a different result. Some people would say it’s crazy-making! Yet many of us do it. Many of us believe by revisiting home we can change the past, enlighten our family and experience a loving, understanding family where everyone hears us and validates us. We keep hoping against hope that this time it will be that way. But surprise, surprise it’s the same family we were trying to get away from — nothing has changed. The problem is we are all going home for the fantasy family! We come home (to our adult home) feeling worse than before we left. We vow never to go home for the holidays again. But soon guilt washes over us and we forget just how bad it was. 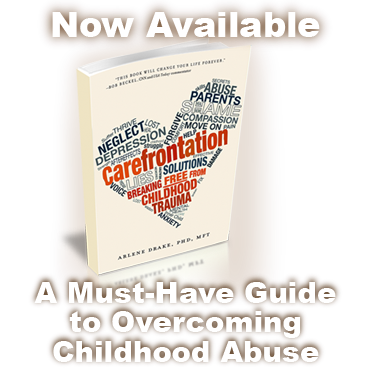 It isn’t until we break the chain of denial and we begin to care for and protect the child -within us- that we realize we don’t need to go back to our family home. We need to make our own home. Filled with people who love and support us. It’s like the Serenity Prayer – God, grant me the serenity to accept the things I cannot change,The courage to change the things I can, And the wisdom to know the difference. There lies the heart of issue. The wisdom to know the difference.